Each year The Museum at FIT hosts nearly 100,000 visitors, who are both entertained and educated about the art of fashion through innovative exhibitions. 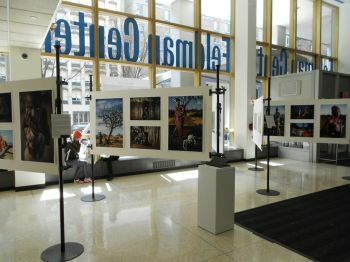 Additionally, the nine-building campus features several other large exhibition spaces, including FIT’s main-entrance lobby that opens to a highly-trafficked midtown Manhattan street as well as a major auditorium. These exhibition areas accommodate any number of displays, including departmental shows, outside conference exhibits, college open-house presentations and senior projects. 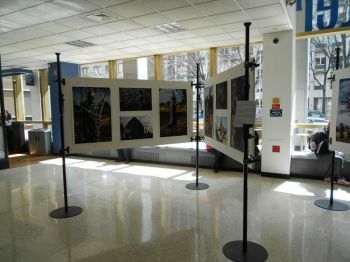 “These exhibitions often require reinventing the wheel each time they are developed, including spending thousands of dollars for materials and systems that will be thrown away,” said Craig Berger, assistant professor and chair of the Visual Presentation and Exhibition Design Department, FIT School of Art and Design. Department staff envisioned a better way to accommodate these temporary exhibits and created their own reusable modular display system with heavy-duty-yet-lightweight Gatorfoam graphic display board attached to AUTOPOLE and Octanorm display pieces that already were on hand at FIT. Fifty Gatorfoam graphic display boards in the 3/8-inch thickness and the 48-by-96-inch sheet size were utilized – some at that size and others cut to 40 inches by 96 inches on a table saw. The Gatorfoam panels were used in either their natural state or covered in burlap fabric in the light gray color to create a surface for high pin holes. The burlap was adhered to the Gatorfoam with silicon adhesive. 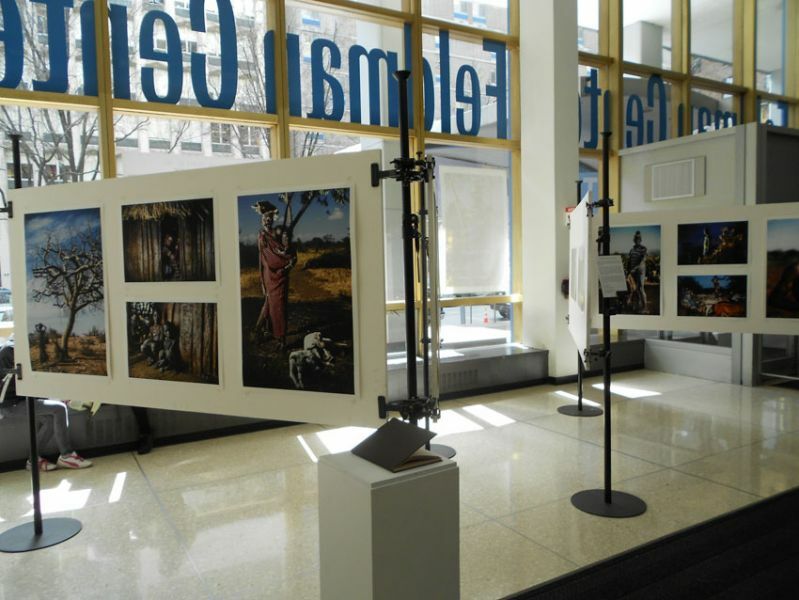 FIT’s new custom modular display system with Gatorfoam already has been utilized for a photography exhibit in place for two months in early-2014 and has been requested for three more displays this year, according to Berger. “We expect this system to have a long, bright future enhancing the image of the college and its departments,” said Berger.